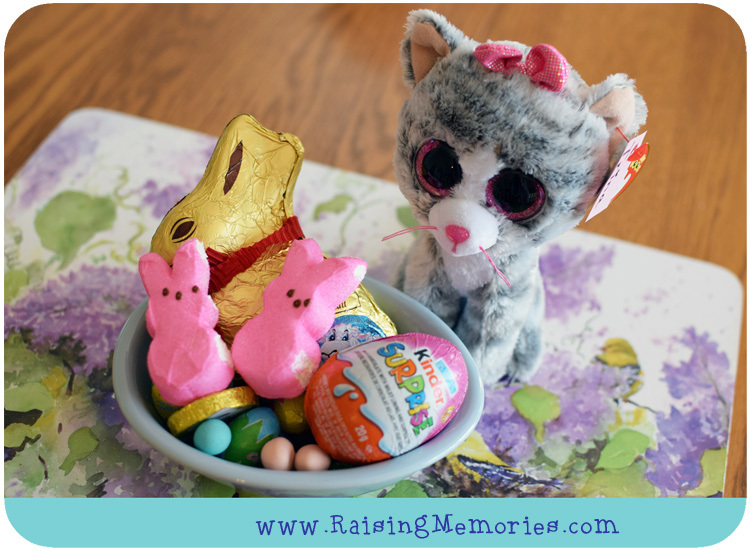 We've been so occupied with our move (driving across the continent & getting settled in a new country) that it's been 2 weeks since I've published on the blog! I'm happy to be back and ready to wrap up the "Smoke Saga" and get on with sharing the adventures that have come to us since then, with travelling from Ontario, Canada to Utah in the U.S.A., what it's been like for us to settle in a bit here, and at some point I'll go back in time and share our Disney experience with you! 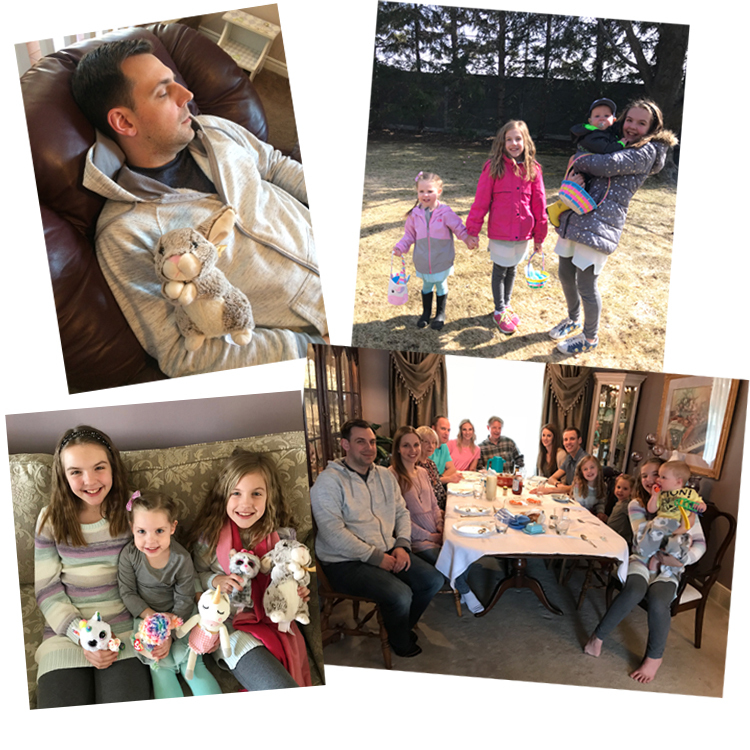 Easter weekend was a doozy this year! It included April Fool's Day, Easter, and our church's semi-annual General Conference all squished into one weekend. Add to that the fact that Ken was in Utah, we were in Canada, and we were still living with Ken's parents, in their house... and that Ken would need to be picked up from the airport, across the border, on Easter Monday. We hung out at Ken's parents' house Saturday & Sunday and listened to General Conference online. 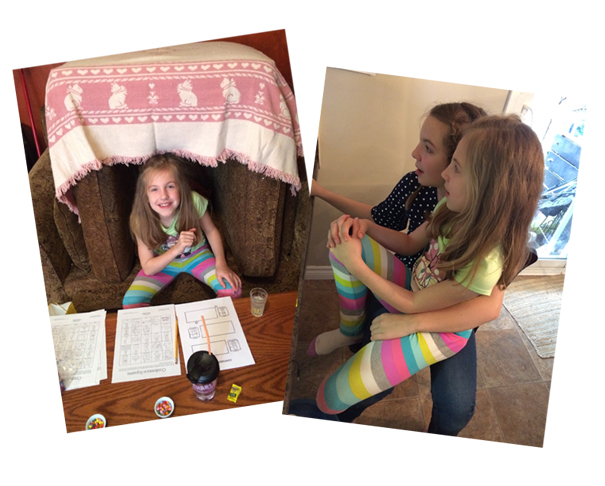 Katrina created a little pillowfort for herself to listen in, all set with snacks and papers for notes. Between sessions on Saturday, the girls wanted to watch cat videos and I was pretty tired (mentally, emotionally, & physically) so I just let them for a lot of the time. We had an egg hunt with cousins after dinner. 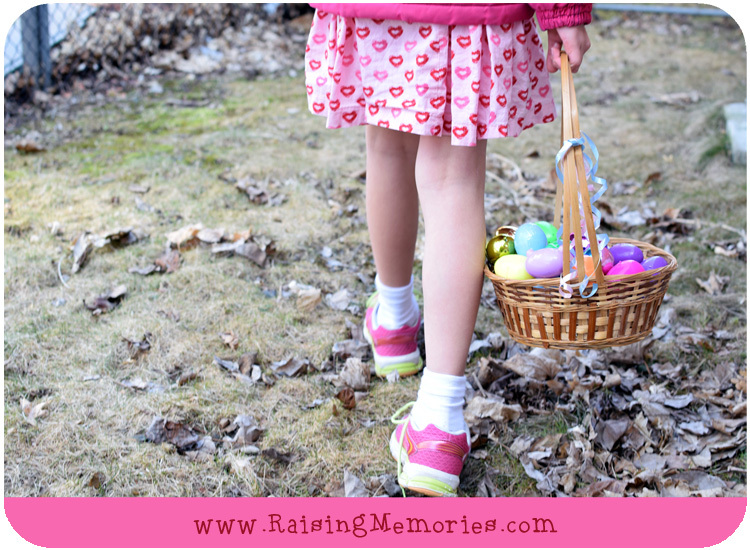 I guess it will be our last traditional backyard egg hunt with them for a while! After the festivities, we packed up & drove to my parents' house. We slept there for the night so the girls could hang out with my parents while I drove to get Ken from the airport across the border. I picked Ken up at the airport and we took advantage of being in the U.S. with a quick stop at Target and grabbed some cheesecake-to-go from the Cheesecake Factory on our way home, to celebrate his birthday. 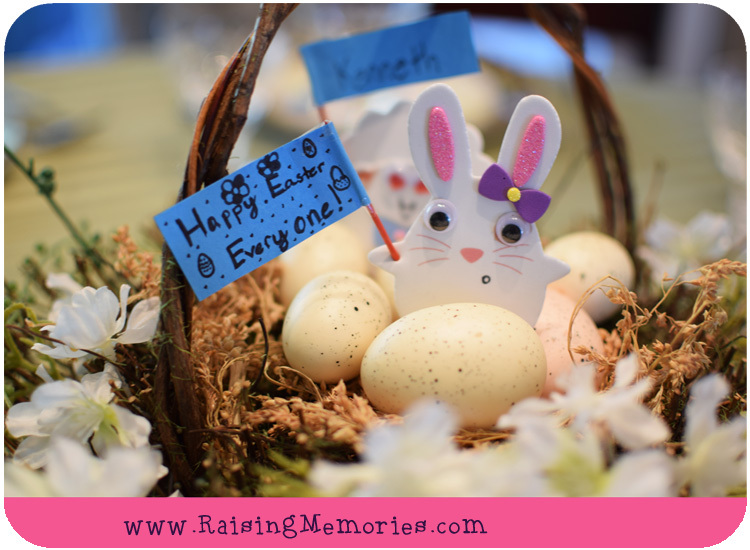 Back at my parents' house, we celebrated Easter with my family (with another backyard egg hunt & family dinner). As soon as we got there, Ken fell asleep & one of the girls planted a stuffed bunny in his arms. ;) It's bittersweet to think that that was our last Easter with those cousins for a while. At the time, I think we were still reeling from everything that had happened with the smoke so it hadn't really sunken in yet. Tuesday we brought boxes over to the house from the storage unit, did laundry, and put together our beds on the floor since we decided not to bring furniture back to the house because it looked like Ken would be taking the job in Utah (which meant moving soon). 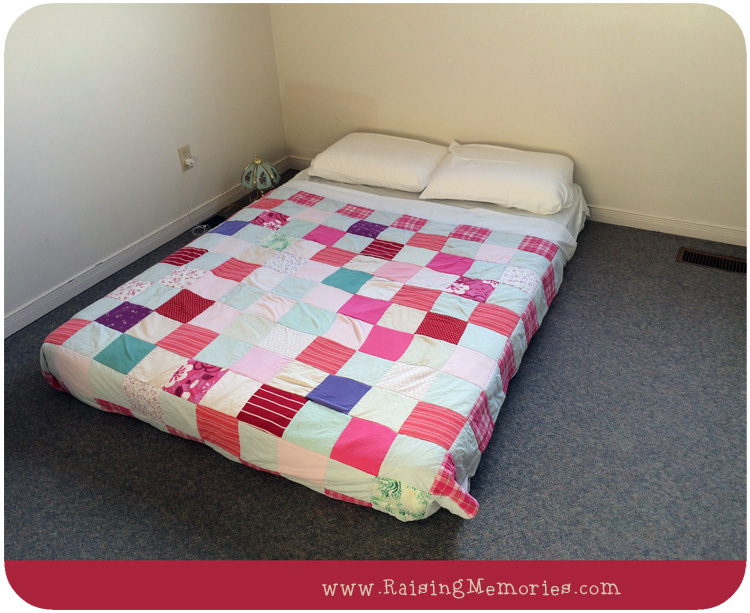 Our bedding was being dry cleaned to see if they could get the smoke smell out of it, so we used an old quilt I had made (that we usually use for a picnic quilt). 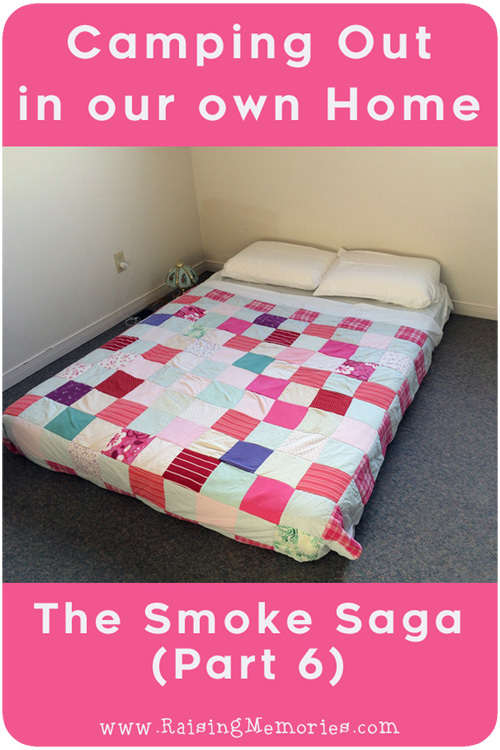 We had to throw out our mattress because of smoke damage, so we borrowed a double mattress from Ken's parents. My brother came over in the afternoon and helped bring more things over to the house from the storage unit. More work at the house, unpacking and sorting through our things. Some needed to be tossed because they still smelled of smoke, and some needed to be re-cleaned. I helped run an Activity Day that evening at the church and Talia had a Young Women activity. Ken helped our friends Dan & Leisha with their move. I remember feeling so overwhelmed about the Activity that I needed to run for the girls. I didn't have any plans (or time to plan) and I didn't want to have to cancel. 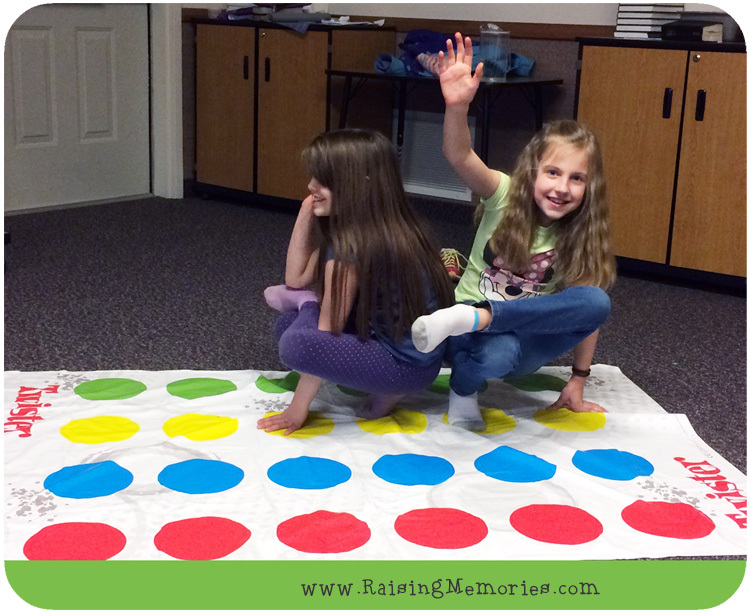 A friend suggested we play games and ask the girls to bring snacks & treats to share. So I went with that and it was such a fun activity for the girls! They had a blast & it was such a relief to sit back & watch them play & have fun! More laundry and time spent looking into housing in Utah. We spent a lot of time talking and thinking through the renting vs. buying debate- trying to find out if it would even be possible to buy when we were coming from another country and had no U.S. credit. We aren't sure how long we will be in Utah, so we weren't sure if it would be a good idea to commit to buying a home. We went to Ken's brother's house for dinner & to play games. That night Ken received his official offer from the University with a tentative start date of April 23 (just 2 & a half weeks away!). In the evening we spent more time talking with family about buying houses and in the end, we felt that we should start out with renting. Ken & I sorted through the things we still had remaining after the smoke and realized that we needed to do a moving sale because we couldn't take everything with us to Utah. We had to move fast though, so we listed the sale online for the next morning. We also managed to save a handful of Talia's treasured toys because they had been at the bottom of a sealed bin in the basement. She has a collection of Toy Story toys that she loves. She had just purchased a new Slinky Dog while we were at Disney World (& sadly it was right on the main floor of the house when the smoke happened, so it couldn't be saved), but these 4 survived & she didn't know it until she came home from school that day! We slept over at our own house for the night to get ready for the sale. Our first night back in the house since March 2nd! That made for a total of 5 weeks out of our house, living with Ken's parents while we dealt with all of the smoke & soot damage. We stayed up past 2 am getting ready for the sale. We woke up at 6:30am to finish getting the sale ready. It was an indoor garage sale (with our whole dining room & living room area set up with tables & things for sale- it was convenient that the house wasn't set up properly because the main floor became our own little store!). We were very happy to have made some money to help with moving costs. At the end of this week, our focus turned to searching for a rental home in Utah and preparing for our trip out there to find a home! 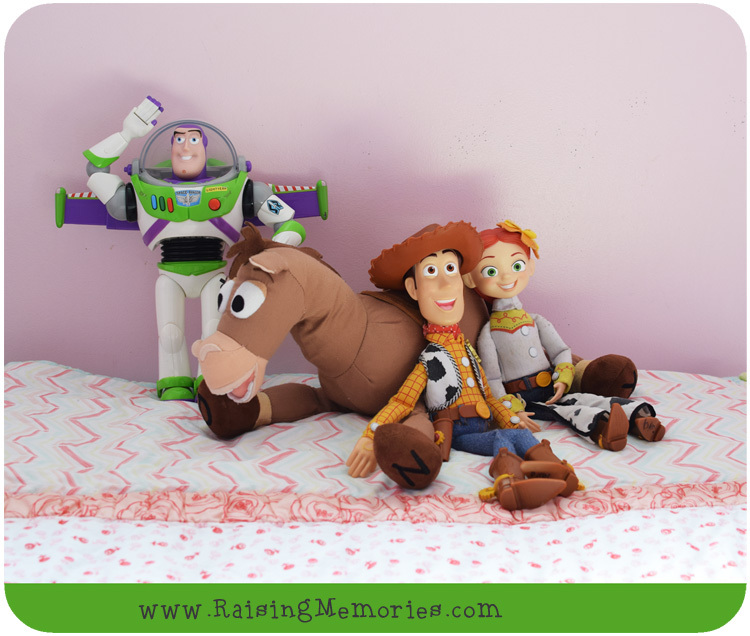 The Toy Story toy picture made me smile...so sweet they were saved! Where did you find a place in Utah!? We found a place very close to Hilary- just a few minutes away! So busy but so glad that you found a way to fit in the fun as well. Excited to hear that you have made your move and the smoke saga is behind you. Can't wait to hear about life in Utah! So much happening! Glad you were able to save the Toy story toys! Awe,it's all about making memories.Did you make the quilt on the bed,very nice!